You may have heard of lemongrass as a spice used in Thai cooking, but it’s also been used for thousands of years in folk medicine to remedy a range of ailments, from digestive troubles to inflammatory pain. Lemongrass essential oil is extracted from this grass-like plant and has a pleasant, citrusy scent. You may have seen it used in skin care products not just as a fragrance, but also as a source of antioxidants that fight free radicals and lower inflammation. Lemongrass essential oil is a great addition to any natural medicine cabinet. It’s able to fight all types of pathogens, including bacteria and fungi that cause infections like athlete’s foot, ringworm and jock itch. You can use it to prevent the infection of wounds and promote faster healing. According to a 2010 study, lemongrass essential oil effectively killed several antibiotic-resistant bacteria strains, including ones that cause skin infections, blood infections, pneumonia and serious intestinal infections. This study showed lemongrass oil to be effective at even a 2.5 percent concentration when diluted in a carrier oil . Free radicals are a natural but toxic cellular byproduct of metabolizing oxygen. Excess free radicals come from processed and fried foods, and from environmental toxins. Your body requires adequate amounts of antioxidants to neutralize free radicals so that they don’t damage cells and DNA. Research shows that antioxidants benefit every cell in your body and help prevent most diseases associated with old age, from Alzheimer’s to cardiovascular disease. Antioxidants are also shown to lower your risk of cancer by preventing cellular damage . Test tube studies have proven that lemongrass essential oil is rich in antioxidants and highly effective in scavenging free radicals to prevent oxidation . This can help protect the skin against sun damage and aging caused by free radicals. It also reduces inflammation by preventing the type of damage that triggers the body’s inflammatory response. One study showed that a lemongrass oil mouthwash had powerful antioxidant abilities and helped treat gingivitis by reducing inflammation . Chronic inflammation can lead to several health problems. In fact, most diseases are inflammatory in nature, such as arthritis, heart disease and cancer. Citral is an active phytocompound in lemongrass essential oil with potent anti-inflammatory qualities. In a study on mice, lemongrass oil effectively lowered inflammatory markers and reduced swelling in the paws and ears, allowing researchers to observe its potential use for inflammatory conditions in humans . Historically, lemongrass tea has been used as an herbal remedy for nausea. Today, it’s included in herbal tea and supplement blends to relieve nausea and vomiting, as well as other gastrointestinal complaints. Inhaling the aroma of lemongrass essential oil works the same way to relieve nausea using a diffuser or inhaling directly from the bottle. New research shows that lemongrass essential oil has natural antidiabetic properties that can help diabetics manage blood sugar levels. A 42-day study on rats found that taking the oil orally effectively lowered blood sugar levels without side effects. It also improved cholesterol by lowering LDL (“bad”) cholesterol levels and increasing levels of HDL cholesterol–the type that promotes heart health and is associated with a lower risk of cardiovascular disease . Compared to control rats, it was found to significantly reduce cholesterol levels in rats fed a high cholesterol diet . Citral is an active phytocompound in lemongrass essential oil shown to have natural analgesic properties. By reducing both inflammation and relieving pain, it produces an effect similar to aspirin. The phytocompound in lemongrass oil called eugenol also promotes better blood flow by preventing blood platelets from clumping together. This added benefit makes lemongrass effective against headaches and migraines. In an Australian study, researchers compared lemongrass oil to aspirin in relation to pain relief, citing lemongrass as a traditional Australian aboriginal headache treatment. They found that the medicinal compounds in lemongrass oil support the use of lemongrass oil as an alternative to aspirin, not only for headaches, but also for muscle pains and other complaints . Another study linked lemongrass oil to arthritis relief when used topically. It showed that the average pain levels in arthritis patients were reduced from “8” to “5” on a scale of 10 after just 30 days of use . The psychological benefits of aromatherapy have been backed up by mounting scientific evidence, and there’s no exception when it comes to lemongrass oil. Diffusing its citrusy fragrance or inhaling it from the bottle can help you instantly release stress and combat anxiety. Studies show inhaling it boosts the brain’s secretion of serotonin–the neurotransmitter known as the “happiness hormone” associated with anxiety relief. One study even found that it lowered blood pressure–a major marker of chronic stress–compared to a placebo, even when used just once a week . 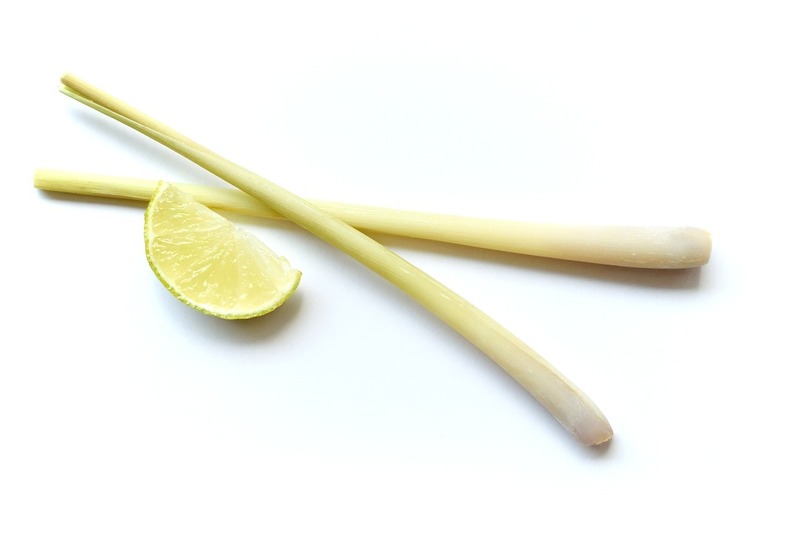 Another folk remedy with lemongrass is eliminating gastric ulcers, also known as stomach or peptic ulcers. These are recurring sores in the lining of the stomach and small intestine that cause pain. A study on mice showed that lemongrass essential oil prevented gastric ulcers in mice fed high doses of alcohol and aspirin, which are known to corrupt the protective mucus lining of the digestive tract . Lemongrass essential oil is great for diffusing in your home or office to promote relaxation and stress relief. You can also combine it with a carrier oil at a ratio of 12 drops to 1 teaspoon of carrier oil and apply it to your skin. You can enjoy the benefits of aromatherapy with lemongrass oil by applying it as a massage oil, placing a few drops on a handkerchief to inhale, adding it to a warm bath or using it in a diffuser. Because lemongrass oil is highly concentrated, you can only consume it orally in very small amounts to prevent side effects and toxicity. Have no more than 2 to 3 drops a day if taking it internally.